I am a mentor to high school girls in the Seattle area and am helping them build their tech project portfolios for college applications. Would love to share tips, ideas, projects with other teachers/mentors. Hi AZSilver! Thanks for posting. I would absolutely love to chat with you about your tips, tricks, and project ideas. We have a girls only tech club and will be developing with the Hololens this next year as part of our explorations. That is part of why I started the group - with such new hardware it is difficult to know some of the best ways to roll it out with kiddos and I would love some companions on the journey. Have any time soon to connect? I am currently working for a university working on a Hololens project and brought on a high school Junior going to be a senior from my high school. I would love to help out any way I can to help people connect with technology in high school. My school didn't do any of that and would like to help people out the best I can. Hope you can make strides in this area. Working on the funding now. We do grade 8-12 Unity3D and Oculus game/experience design at a tiny New Brunswick Canada high school. Coming soon. 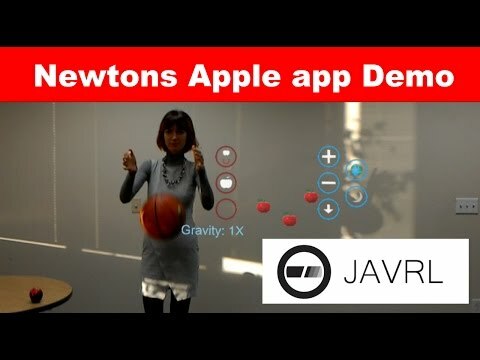 We developed an app/teaching tool to simulate different gravity on holograms. We would be happy to share the app files with any teachers who would like to see the program on Unity & Visual Studio. I run a game design course for high school seniors (12th grade). I teach Unity in this class and for the past semester we've been learning to develop content for Hololens. I have three units available to the class. Right now they're just getting the basics down. They're fresh to everything 3d game design related; so, that means in one semester they're being introduced to Unity, 3D modeling, coding, and now Hololens. I used the Hololens tutorials to serve as both an introduction to Unity and Hololens at the same time. If anyone is interested for more information on what we're up to, or just to discuss, I'd love to have a conversation about it. if anyone is still watching this topic. I have created a solution and partnered with the DoE as a Vendor please email [email protected] I can help you get the program in your highschool! I am the CoFounder of the WebGuyz .